With a Russian/Dutch heart: Nearer to be a pensionado this year! Good morning Kyra. I hope your birthday is a happy day. I wish you sunshine and warm temps. And I hope that getting your pension will help to make your life so much easier. We've been putting our Christmas decorations away too. As much as I love Christmas, I can't wait for Springtime to get here. I love the colors in your new kit. Thank you so much. That figurine is just gorgeous! Hmmm, I'll have to see how I can fit her into a quick page. I'm off now. Got shopping to do! You have a wonderful week my friend, hugs, Edna B.
I too watched the New in with 2 doggies curled up with me in the recliner and after the big to-do in New York City I put me and the doggies into the bed. If there was any noise here since we are 3 hours behind NY city, I didn't hear it and neither did the dogs. This is the type of kit I think I'd use for my brother's wife's picture. She passed away 1 year ago the 3rd and he posted a very nice picture of her and the lovely items will be just right for a scrapbook page for him. Yes things are somewhat back to normal again. We just had a big dump of snow with more on the way. Temperatures up and down like a yoyo. Nice Christmas and quiet New Year. Now I have to get back into some serious scrapbooking! Lol. Добрый день,Кира! С днем Рождения! Желаю Вам сибирского здоровья,кавказского долголетия,творческих успехов - будьте счастливы! Большое спасибо за все Ваши прекрасные работы!!! Thank you for the beautiful kit and a big Happy Birthday to you and a Happy early Birthday wish for Jan.
Hope your birthday was fun! Thanks for all the pretties, too. 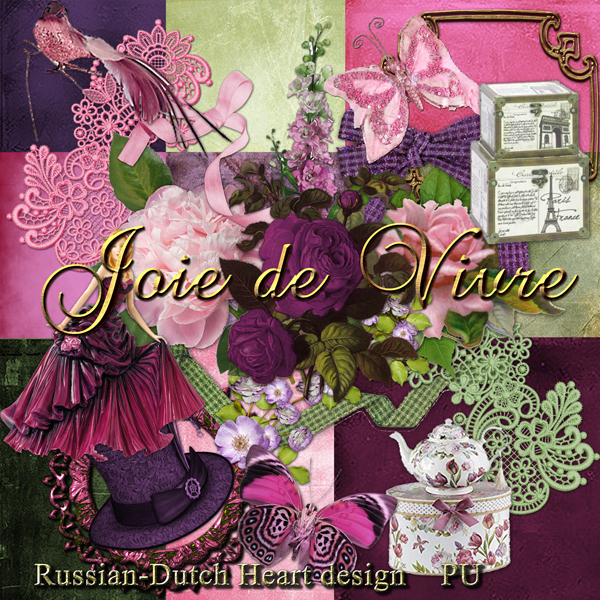 Hello and Thank you Kyra and Arlene for all the lovely kits and clusters that I downloaded today. It has been a while since I was last on so I had some catching up to do. I'd like to wish you all a belated Merry Christmas and Happy New Year. Kyra, I hope your tummy hasn't been giving you too much pain.